You really don't even need the ip, we are a recommended server so as soon as you download the modpack you will see us on the multiplayer listing! What is Pixelspark and how the heck do I join!!>!>!! Assuming you've played Pixelmon before, have you ever wanted to venture through pixelmon in a difference style? That's just what PixelSpark is! This modpack is meant to give a whole new aspect to playing pixelmon/pokemon. With enhanced customizations and modifications to improve gameplay experience. We're offering the best environment on technic! We keep the pack upto-date with the latest and best mods that BEST fit "pixelmon"'s theme/description. There are 5 simple steps to joining our server. 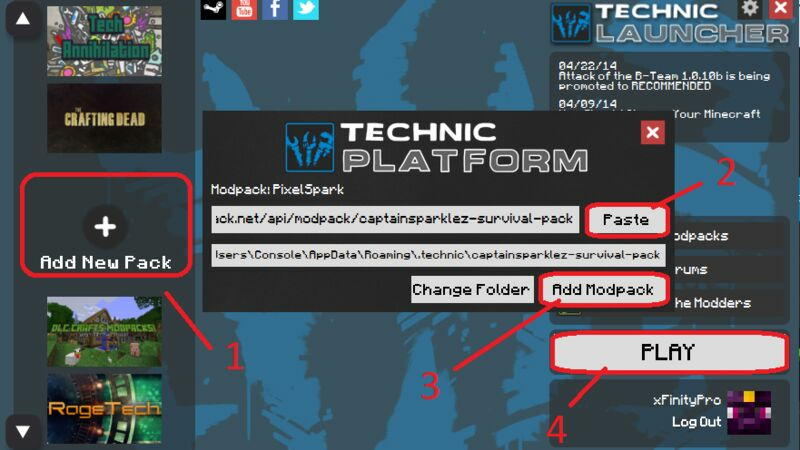 If you do not understand the instructions to join scroll up for a picture on how to launch PixelSpark.